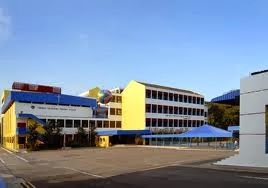 Fairfield Methodist Primary / Secondary School are located at 100/102, Dover Road in Singapore 139648/139649. Both schools are enclosed within the Dover Region. Dover is a small neighborhood situated at the Southern section of Ghim Moh and Northern section of Kent Ridge in Singapore. Basically, it lies within Queenstown. Most of the infrastructures nearby are educational facilities. Nearest MRT is One North MRT and closest bus interchange is Clementi Bus Interchange. Amenities in the area are Holland Road Shopping Center, Market Place Supermarket and NTUC Fairprice. Some of the schools close by are Anglo Chinese Junior College, National University of Singapore and New Town Primary School.